Anyway, we needed a way to keep track, so I thought I'd make a chore chart that she could check off the chores she's done throughout the week allowing us to add up her chores at the end of the week. The easiest way I thought we could do it is by using something like a chalkboard that could be erased and re-used. Enter Chalkboard Vinyl and Chalkboard Markers! This project is actually super simple...and I'm making it even easier for you by proving the free cut file at the end of this post. I used a label design from my library and made it really big to get the shape of the chart. I cut out the chalkboard vinyl (you can pick some up at My Vinyl Direct in the specialty vinyl category) out - it's about 8x10. 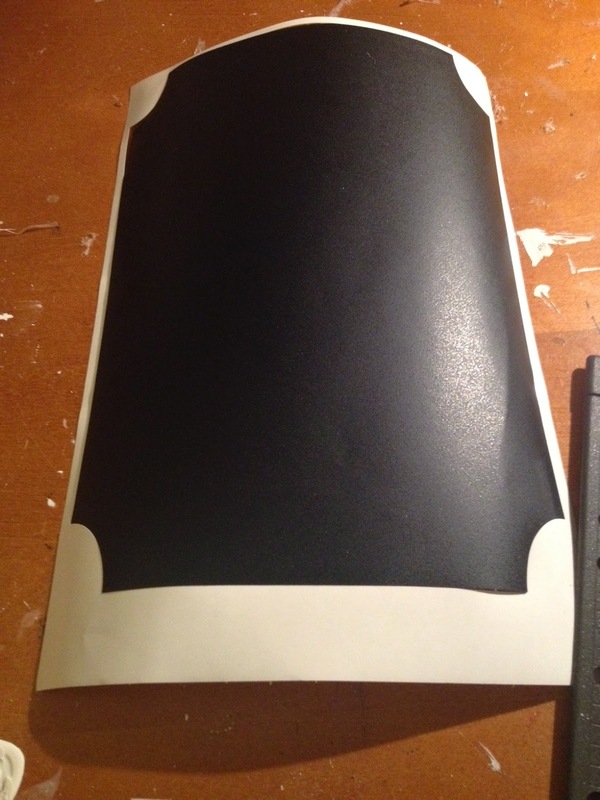 After it was cut, I left the backing on the vinyl while I added the other elements. The next thing I did was cut out "Olivia's Chores" and "Allowance" out of some silver vinyl that I came as one of my free samples a few months ago. 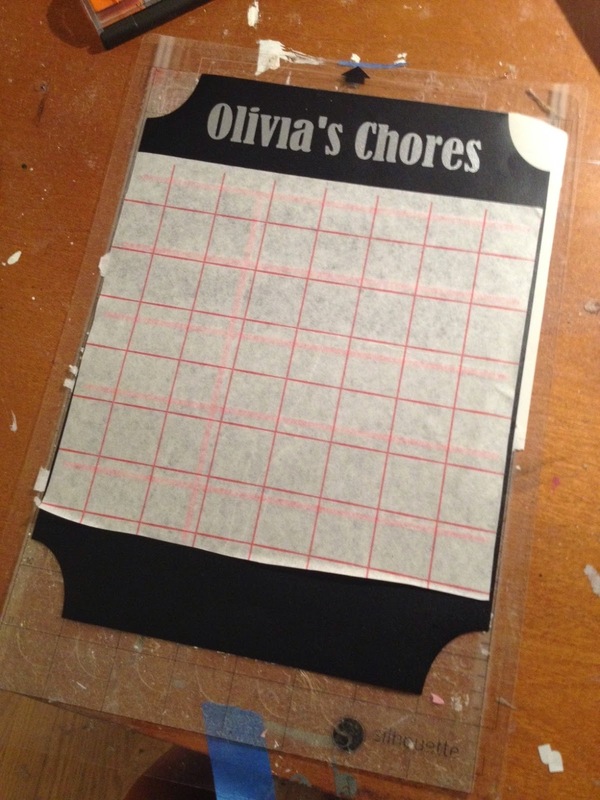 I applied the "Olivia's Chores" first to the chalkboard vinyl. Since I wasn't using registration marks and was more 'eyeballing' it, I waited to add the Allowance until the rest of the design was put together so I made sure it was placed correctly. Next I added the red lines. I drew the lines in Studio using the line tool. This alone will just cut a slit. I needed a weighted line. To get the grid, I grouped all the lines together and gave them a slight offset. Then I deleted the original lines. I described here in great detail about adding the red lines to the chalkboard vinyl to ensure they were placed exactly straight, even, and centered. Finally, we came up with a few chores: empty bathroom waste baskets, put away her laundry, empty the utensil rack from the dishwasher and clear her dishes from the table. I did google searches for images that were related and then traced each of them in Studio before cutting on white vinyl. I cut on permanent adhesive vinyl - 651 - to ensure I got a good stick. I used transfer tape - not paper - to apply these. The tape allowed me to see through so I could more easily see where I was placing the designs to ensure they were relatively centered. I had some Chalkboard Markers on hand and these are perfect for the chalkboard vinyl. 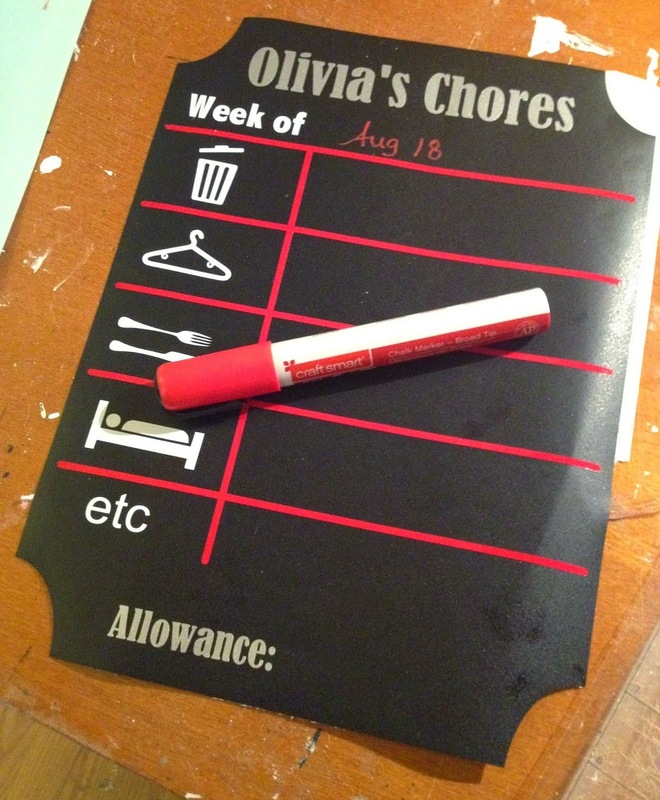 My daughter can check off what she's done and then at the end of the week, we can wipe the chart clean with a wet paper towel to start over. 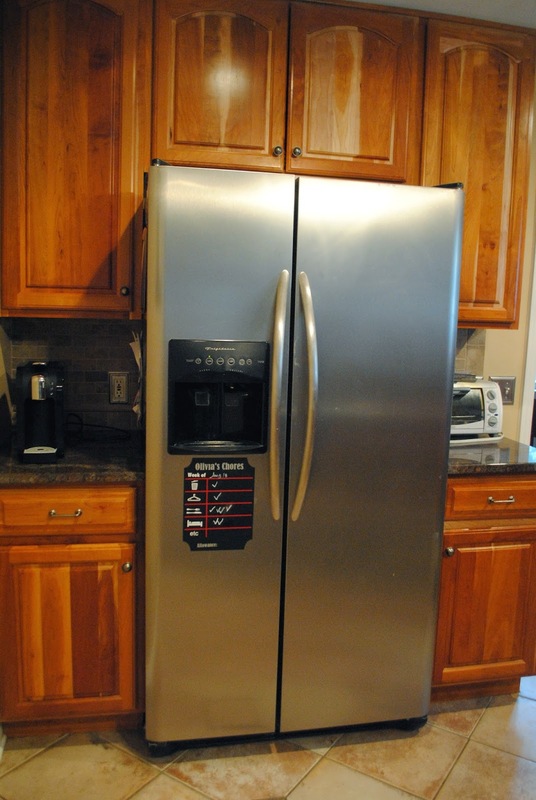 The last step was to remove the backing of the chalkboard board and put it on my finger-print covered refrigerator (Sorry, just being real...). This stuff would stick to a door, inside of a cabinet, wall...you name it. The great part is it's removable and doesn't leave any sticky residue behind. 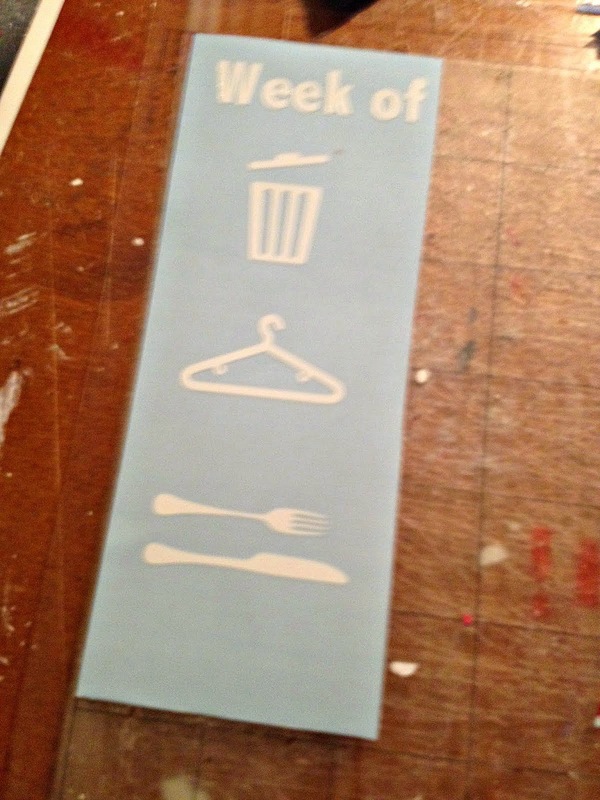 I can also peel off the white designs and replace them as my daughter's chores change with her age, etc. 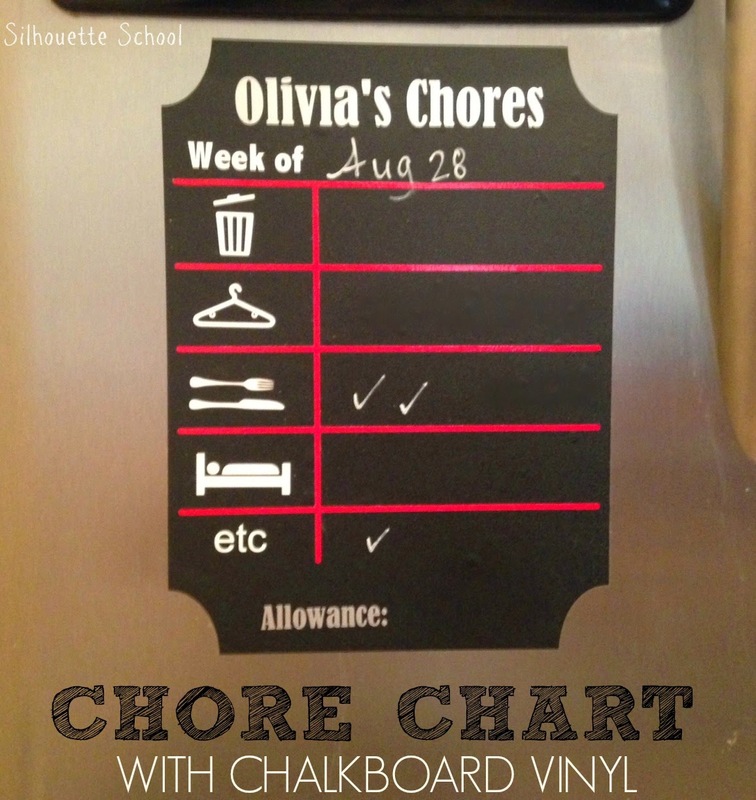 You can download the free .Studio file for this chore chart here. This is for personal use only...please!